A$AP Rocky has a lot of great music stored and is ready to unleash his work to the world. The Harlem-native paid a visit to BET’s 106 & Park on Monday afternoon to premiere his “Fu**in’ Problems” video co-starring Drake, 2 Chainz, and Kendrick Lamar. Leading up to the appearance, Pretty Flacko also noted a big announcement would follow. 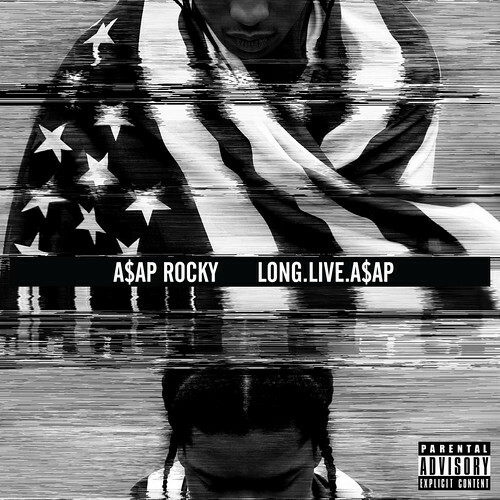 The A$AP Mob leader revealed his anticipated LongLiveA$AP debut album will finally arrive in-stores on January 15, 2013 via A$AP Worldwide/Polo Grounds/RCA Records. Supported by the singles “Goldie” and “Fu**in’ Problems,” the project faced a few minor delays earlier this year. The stylish rapper will kick-off the new year with a bang as he’ll also be hitting the road with Rihanna on the North American leg of her “Diamonds” world tour, starting in March. Watch the announcement on 106 & Park after the jump…. very predictable that it would be in black & white with a flag incorporated… but I’m diggin it. and that coat is fire.